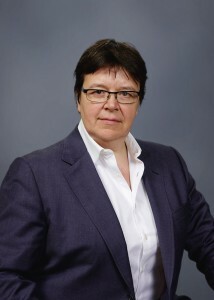 Gabrielle Pop-Lazic has appeared at the Ontario Court of Justice, Superior Court of Justice, Court of Appeal in Ontario, and before the Supreme Court of Canada. Her advocacy is characterized by a commitment to the principles of access to justice and equality. Gabrielle is a trained family mediator and a collaborative law practitioner. In addition to practicing law, Gabrielle is a trained psychotherapist who has worked in the private sector, and in the non-profit sector, with adults and children experiencing separation and divorce, as an educator, group facilitator and counsellor. Gabrielle was called to the bar of Ontario in 2000 initially practicing General Litigation and Class Action Litigation. She opened her own practice in 2008 restricting her practice to family law and child protection and has continued this focus since joining Jamal Family Law in 2014. Gabrielle has a BA in political Science from Northwestern University, an MA in political science from the University of Chicago, and an LLB from the University of Toronto.